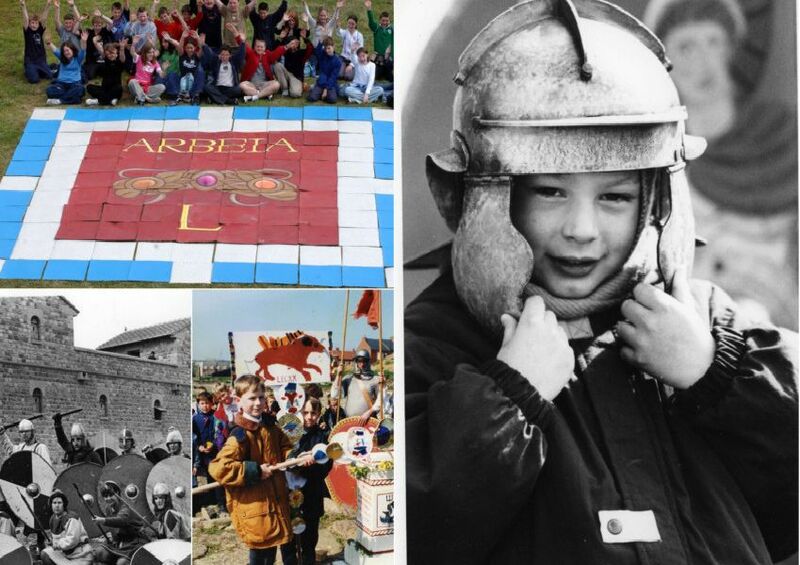 Youngsters celebrate Arbeia's 50th anniversary in 2003. Roman soldiers meet some young visitors to Arbeia in 2003. A Roman cavalry display at the fort in 2005. Fun at the fort in 1994 as guests celebrate the Rose Festival.